At this point, it's clear that if the Boston Celtics are going to meet their lofty expectations, they're going to have to do so in the playoffs. Currently mired in yet another lengthy losing streak -- four games this time -- they've run out of time to really turn things around in the regular season. With just eight games to play, the next of which comes Tuesday night against the Cavaliers (7 p.m. ET -- Watch on FuboTV with NBA League Pass add-on), they're 43-31 and have some work to do to even get homecourt advantage in the first round. They're two games back of the Indiana Pacers, with two games left to play against that hardworking bunch, so they still have a chance, but those games will be must wins. This is who the Celtics are, a very talented, but flawed team. 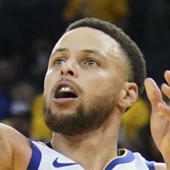 Just as they're capable of beating the Golden State Warriors by 33 points in Oracle, they might also blow an 18-point lead in the fourth quarter to the Charlotte Hornets. But even amidst the current disappointing run, their leaders are trying to stay positive. "Winning's hard," Irving said. "Team environments are hard. It's not as simple as just listening to everybody else speak about what's going on with our team, it's hard being a professional athlete. Being in a team environment and wanting to accomplish something very great. Everyone always wants to say, 'Oh you need to do this, you need to do that.' Nobody f---ing knows. Nobody's been in my position. Nobody here. I don't expect anyone here to understand that. Everybody can just speak on it, and give their opinion about what would be best for it. But for me, my focus is figuring out the guys I have in this locker room. How to get the best out of them, and them to get the best out of me. It's been hard, but it's a challenge worth fighting for, because the end result is standing on that stage." "We have a lot of great guys in this locker room and they are committed to winning," Irving said. "We have winners in this locker room as well, so I'm never worried about trying to go back and respond with these guys. They are a resilient group who have proven that for the last year and a half we've been together. It hasn't been pretty all the time but we've always tried to find a way to figure it out and get the most out of each other. It starts with me and it trickles down to the rest of our leaders on this team. You just got to be committed and it starts with me. Marcus Smart also tried to keep on a happy face, expressing optimism about what he's seen on the court despite the losses. "We're still fooling with it, but I see great progress, and I'm excited, I'm ecstatic, and I'm happy with what we're doing," Smart said. "Yeah we've been losing, and it's been frustrating, but that's the beauty of this game. We get to go play another one and we get another chance to go out there and work on things we need to work on." This is a definite change in tone from the Celtics, who have been critical of each other and themselves during some of their other rough patches. Perhaps keeping on this brave face will work, but only time will tell. Getting to the postseason can sometimes be the fresh start a struggling team needs, and the Celtics have more than enough talent to compete in the Eastern Conference. But right now, there's not much reason to have faith that they'll put it together.